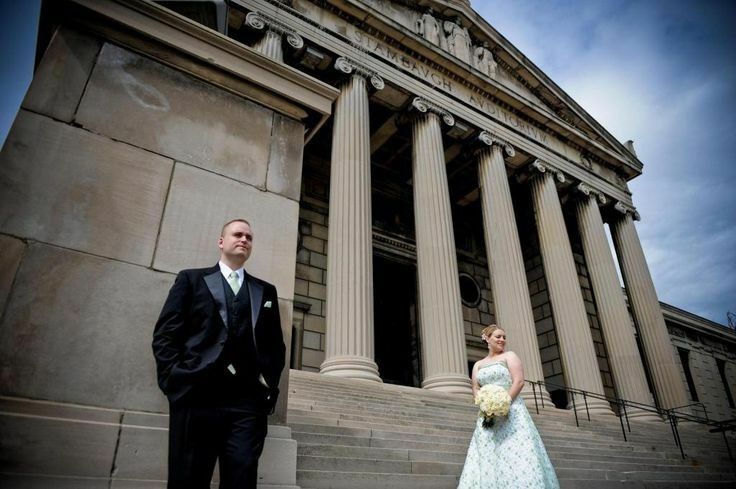 Stambaugh Auditorium is a ballroom in the Cleveland, Ohio area hosting elegant weddings for couples. 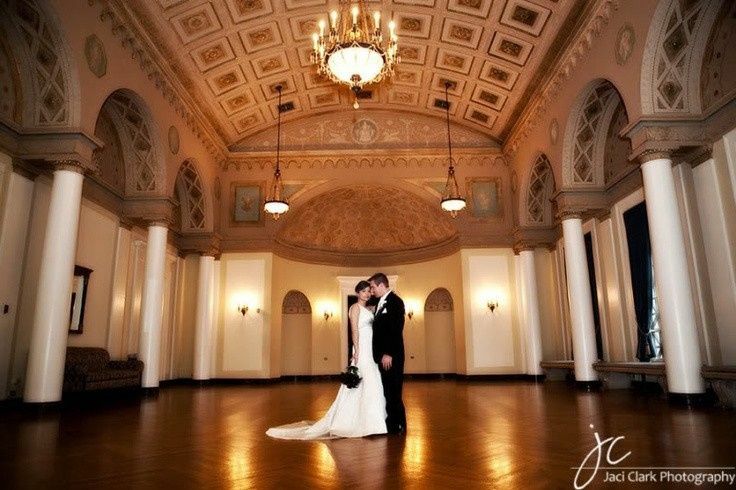 This vintage venue features a concert hall hidden away past the exterior’s ionic columns. Situated in Youngstown, Ohio near Stambaugh Stadium, this venue is an hour and 20 minutes from downtown Cleveland. 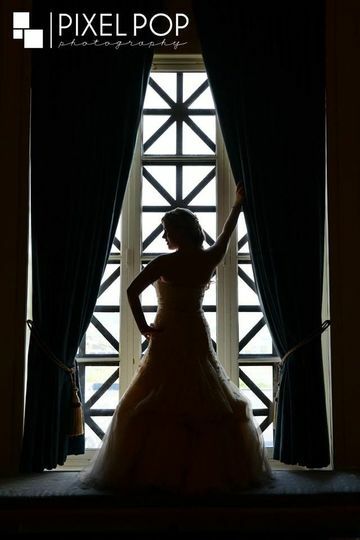 As many as 550 guests can join couples on their big day at Stambaugh Auditorium. The Jeanne D. Tyler Grand Ballroom is the larger indoor space at the venue. It features shining hardwood floors, square white columns and vaulted ceilings. 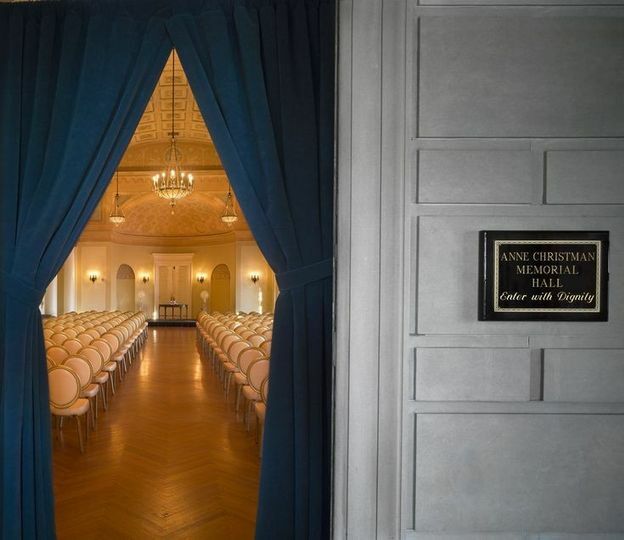 The smaller Anne K. Christman Memorial Hall can be setup for indoor ceremonies or intimate receptions. This ornate hall features herringbone-pattern hardwood floors, crystal chandeliers and gilded, arched ceilings. The lobbies of each room are equally luxurious and perfect for cocktail receptions or small ceremonies. The formal gardens on the building’s south side host both ceremonies and receptions for couples, with the centerpiece of the gardens being a romantically lit fountain. This venue invites couples to bring in outside cake. The bar services allow for a cash bar at a couple’s reception. Bartenders keep glasses full for a champagne toast, and serve house wine, premium liquor, specialty beer and specialty wine. 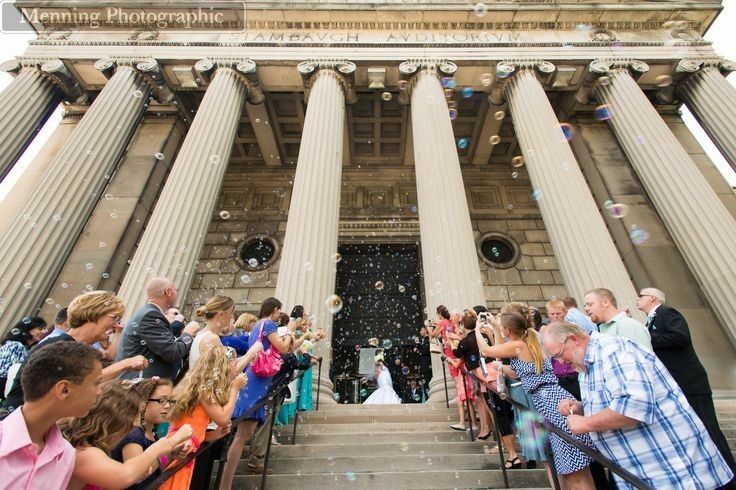 In addition to ceremonies and receptions, the Stambaugh Auditorium invites couples for bridal showers, engagement parties and rehearsal dinners. The venue allows exclusive use of the venue for rehearsal dinners and a private event menu for the meal. 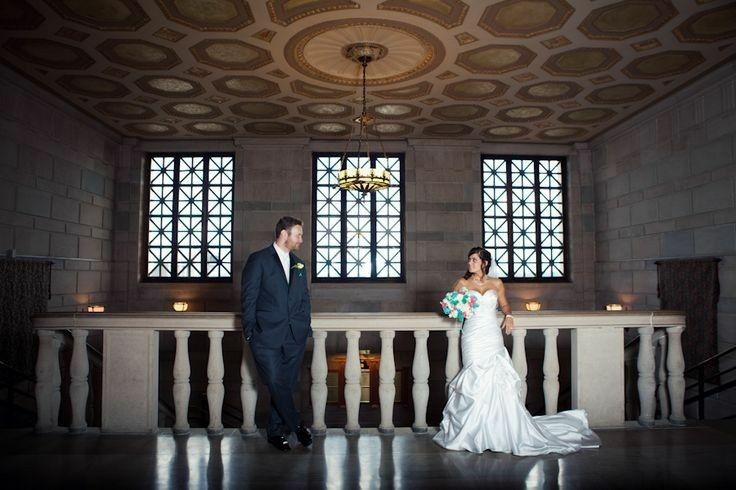 We had our reception at Stambaugh in the ball room and it was breath taking. Everything was perfect and stambaugh's staff made sure of it. Carissa got us into another room to take quick pictures before a ceremony was held in there because our photographer wanted to take the picture. Honestly they made our wedding reception amazing. They even checked in on us to make sure everything was going as planned. 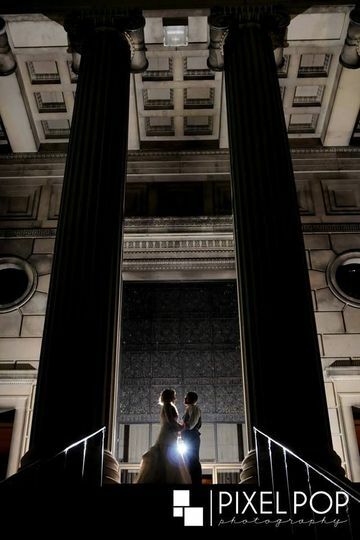 Stambaugh Auditorium was a sentimental choice for my husband and I- we both had our high school graduations in the auditorium seven and eight years before our wedding, so we knew immediately that this was the place for us. 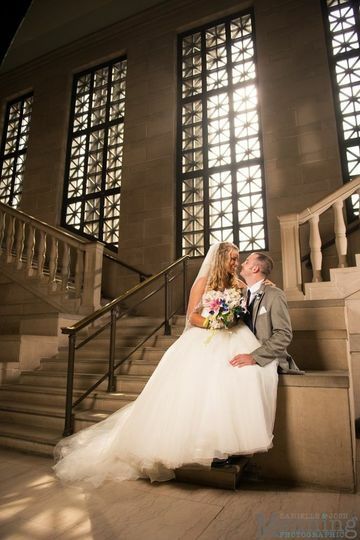 We had our ceremony in Christman Hall and our reception in the ballroom- it was the best decision we made to have the entire day in one venue. 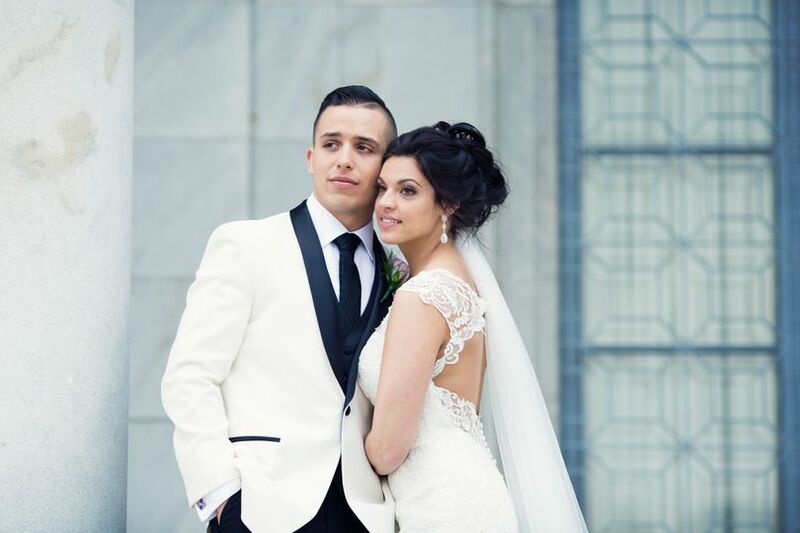 Like a few other reviewers, we were bounced around between a couple of coordinators, and we finally landed with Bianca four weeks before the wedding. Even with the last-minute switch, she was beyond wonderful to work with and our day turned out exactly as we wanted it to. The perfection that is the building, along with the amount of care and attention to detail that our coordinator and the rest of the staff had for our wedding made it well worth the price! Such an amazing venue with minimal decorating needed! We kept it simple with table arrangements, black and ivory and it really made the flowers pop! Awesome people! Amber was amazing and supportive for the whole ride! I can&apos;t say enough about Stambaugh Auditorium. Every event I have ever shot there has been simply amazing. The staff is very professional and organized. The day runs very smoothly. The location is just gorgeous. 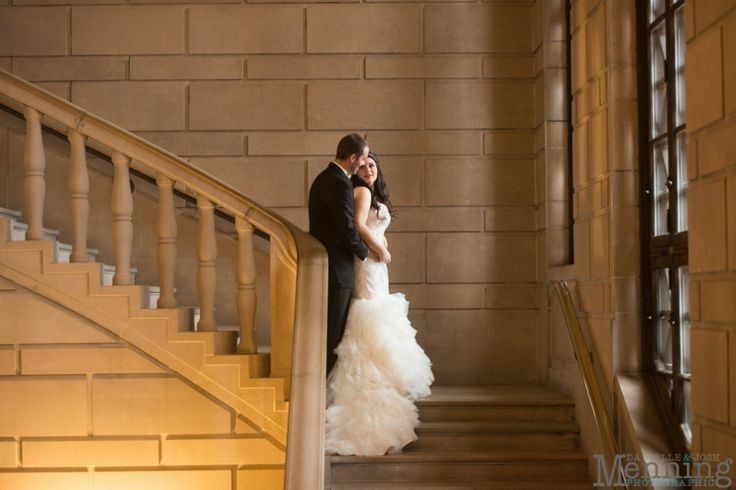 I&apos;ve shot all over the building inside and out - both ceremonies and receptions and it is by far my favorite!